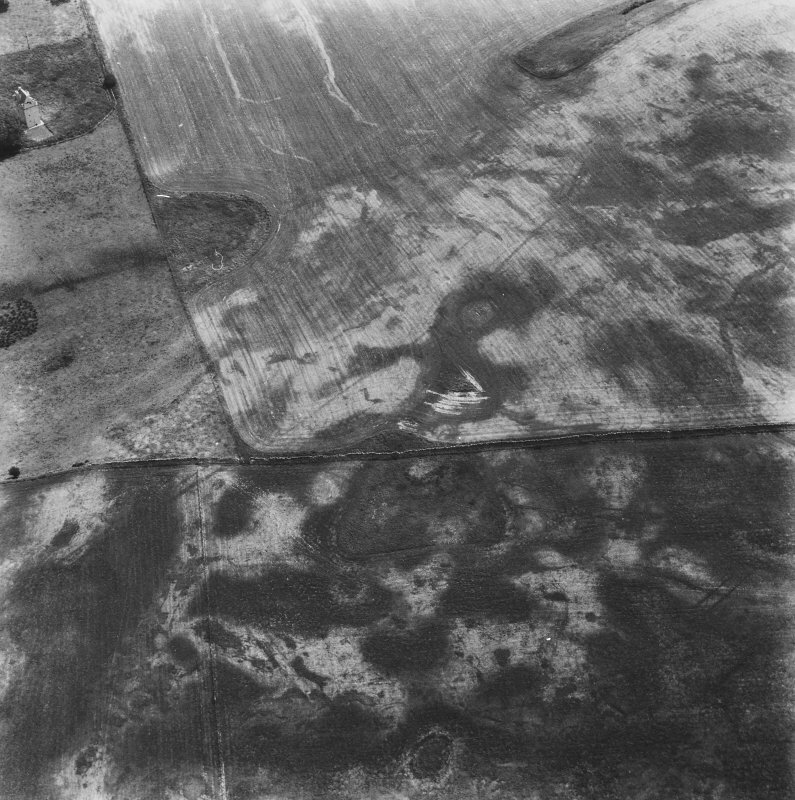 Craigcaffie, oblique aerial view, taken from the SE, centred on the cropmarks of a possible souterrain and linear cropmarks. 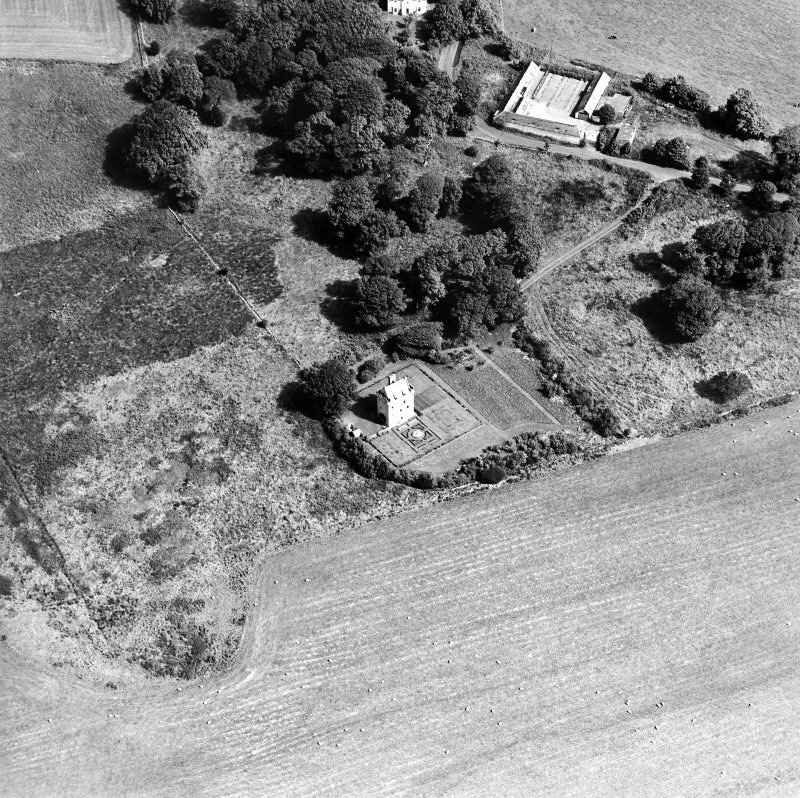 Craigcaffie Tower is visible in the top right-hand corner of the photograph. 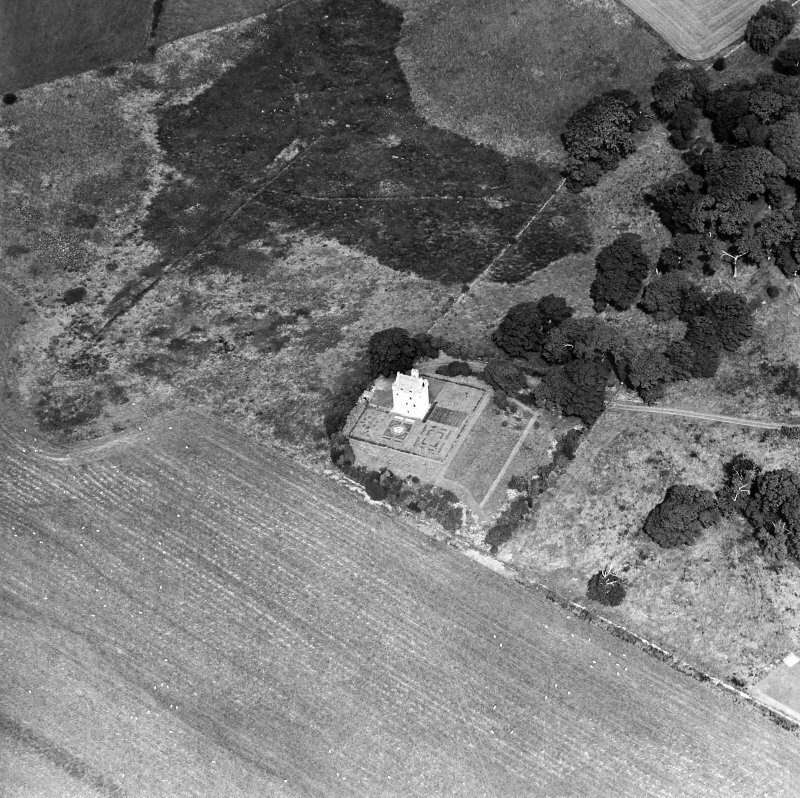 Oblique aerial view centred on the tower house, taken from the NE. 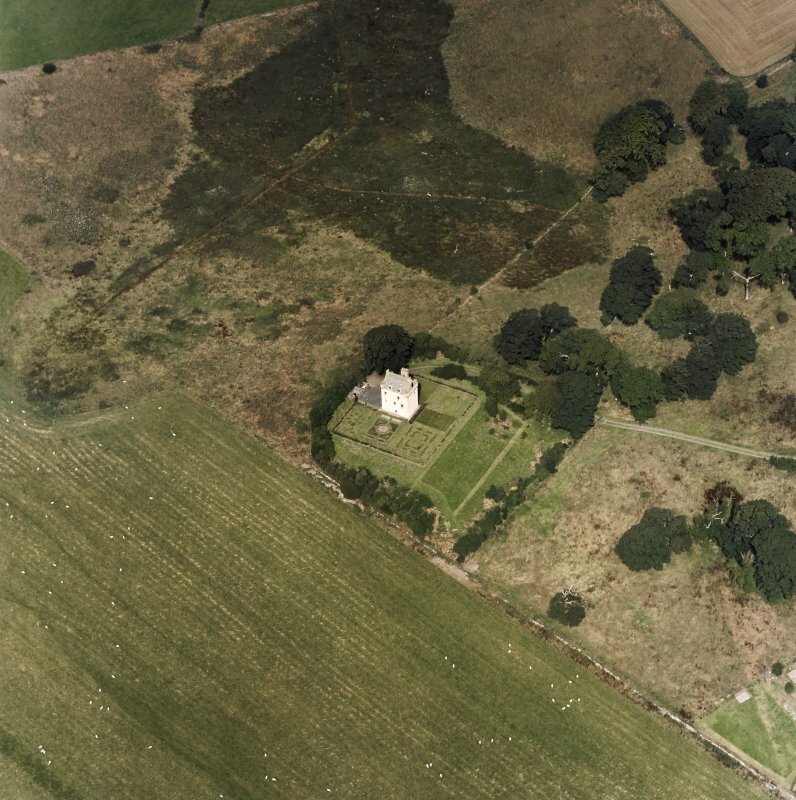 Oblique aerial view centred on the tower house, taken from the SW.
Craigcaffie Tower is a 16th c keep; a skew-put to the north bears, on a shield, the date 157-. 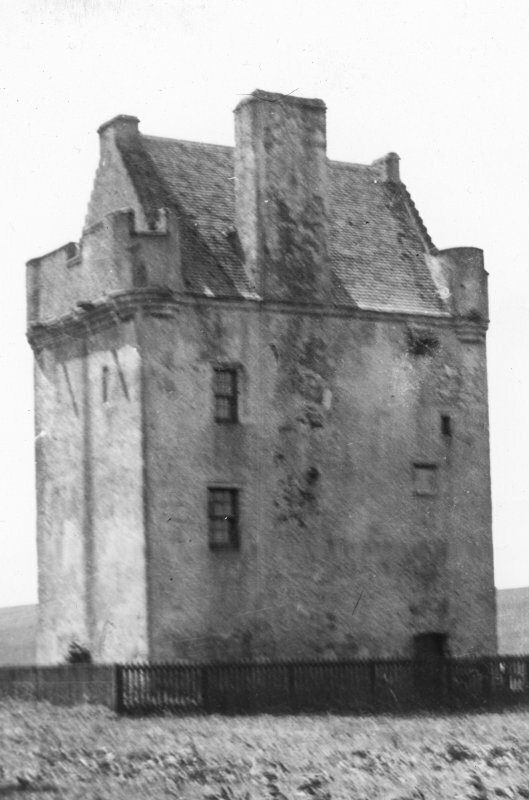 The building is kept repaired by the owner the Earl of Stair. 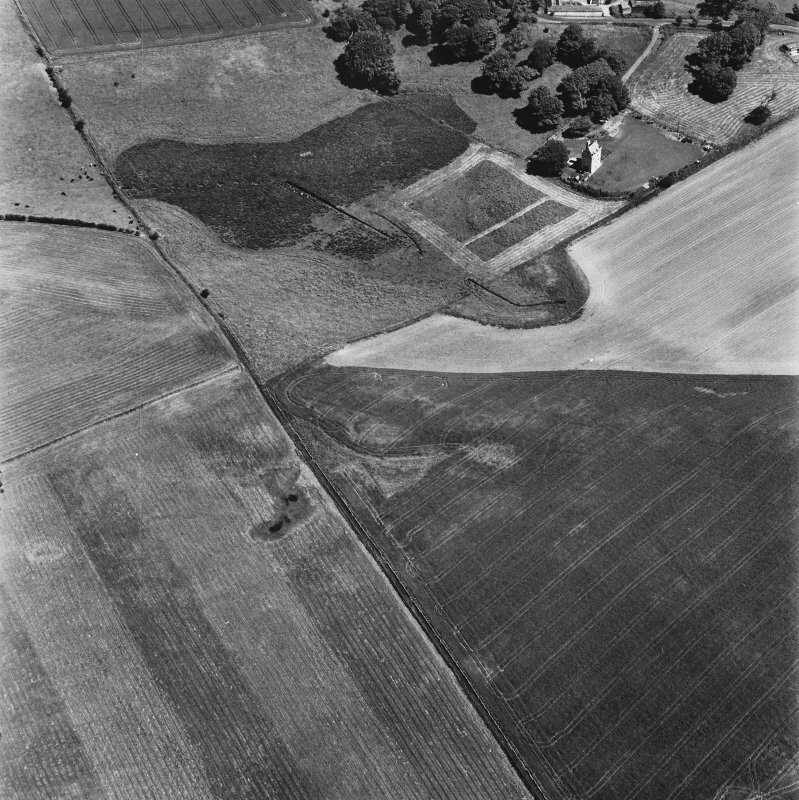 To the north of the tower are traces of what may have been a forecourt with a well and to the west of the building a fosse can be traced for a few yards. 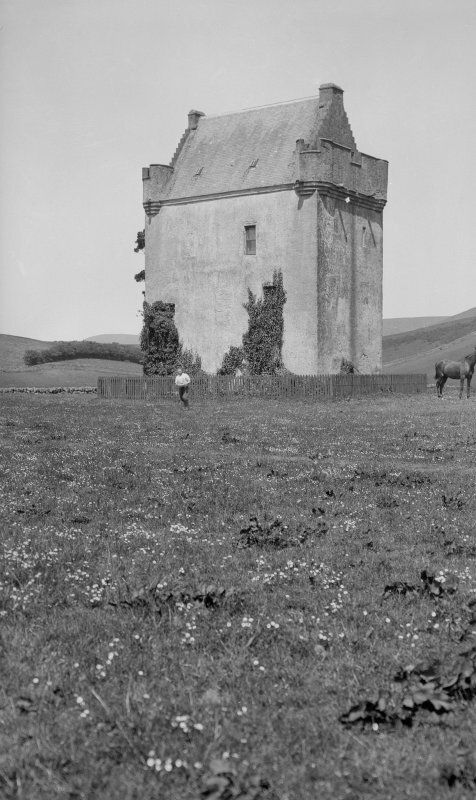 Craig Caffie, anciently called Kellechaffe, measures 30ft 9ins east-west and 19ft 9ins north-south. Craigcaffie Tower Craigcaffie tower is a rectangular building with a barrel-vaulted ground floor, and three storeys high. 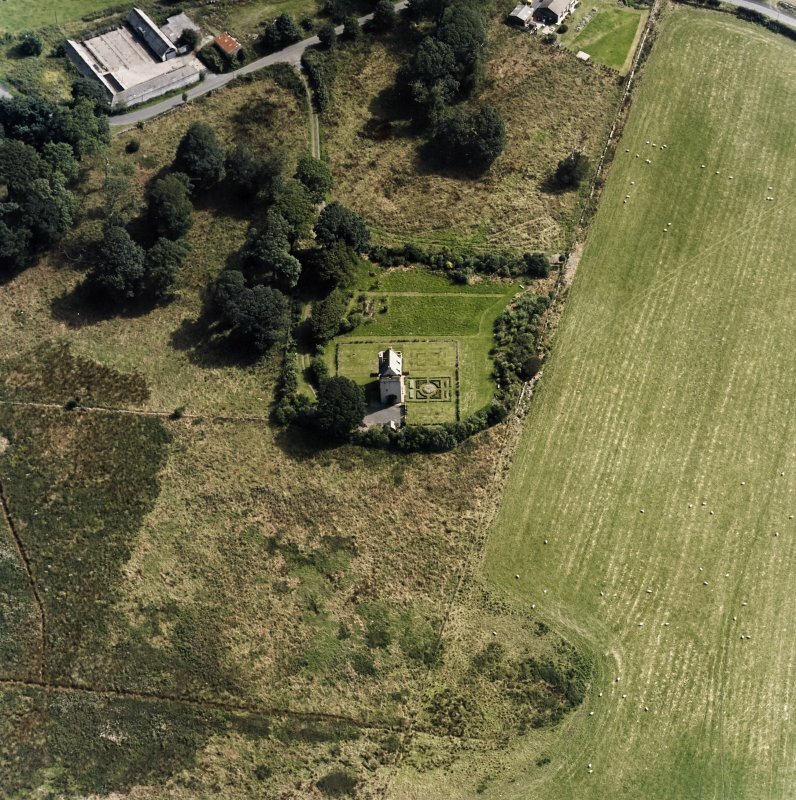 A few metres to the west are the traces of a ditch - only the scarp remains (max height 0.8m). 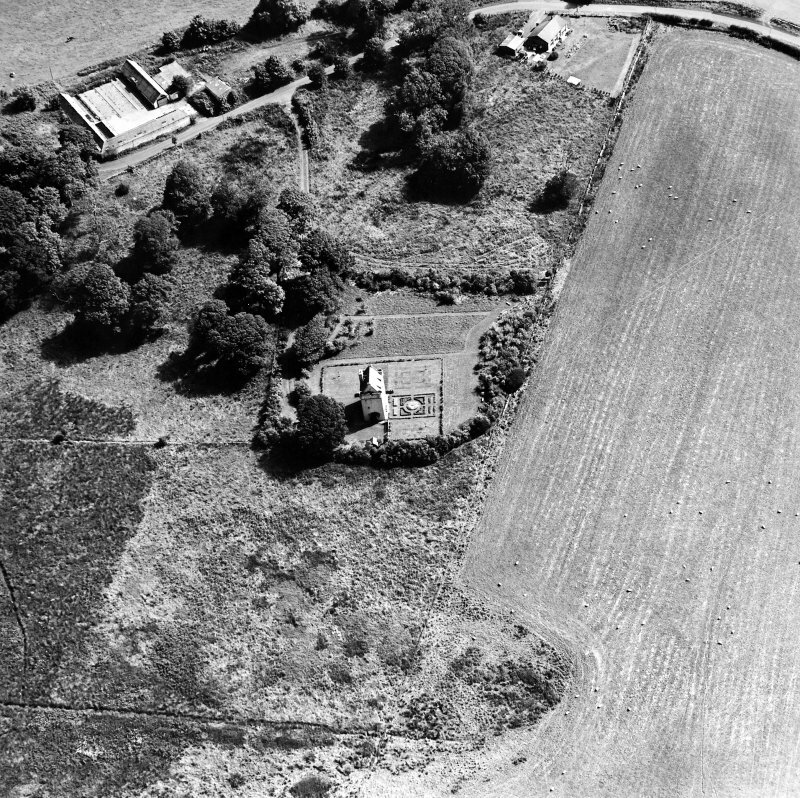 No traces of the fore-court and well to the north of the castle mentioned by RCAHMS could be seen. 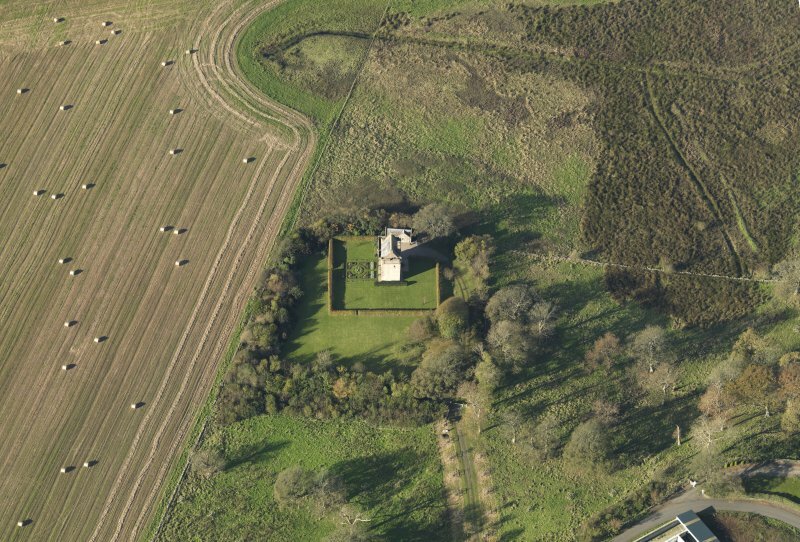 This well-preserved late 16th century tower-house stands on low-lying ground 135m W of Craigcaffie steading. 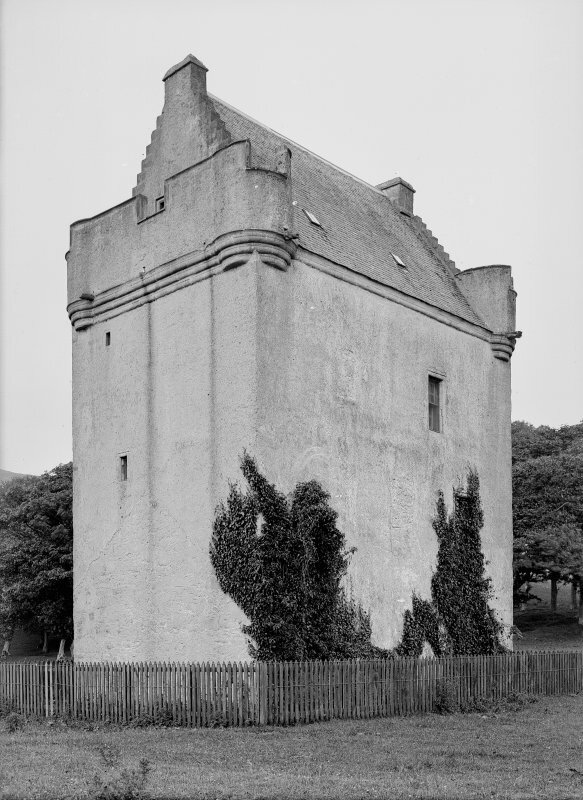 Oblong on plan, it rises three storeys and a garret in height with crenellated parapets. Skewputs bear the monogram initials of John Neilson and Margaret Strang, his wife, together with the date 1570. 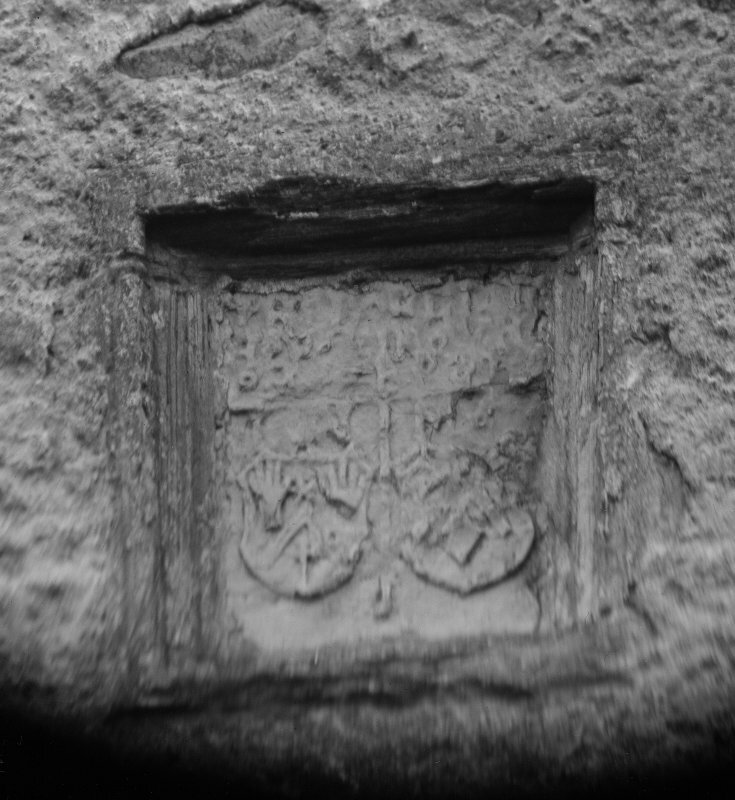 The building is unusually well detailed and executed both externally and within, and a hood-moulded plaque and an armorial panel, now defaced, are set above the entrance doorway at the N end of the NE wall. 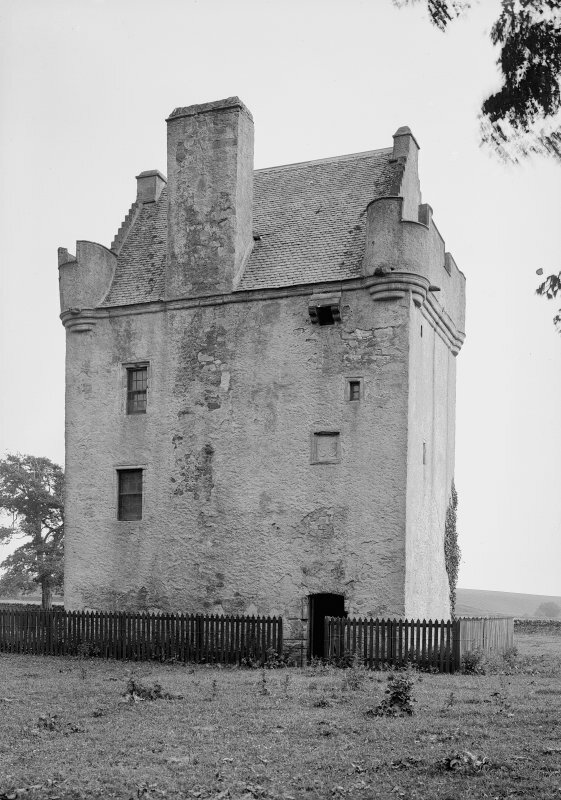 The door is protected by a wall-head machicolation and opens to a newel-stair in the N angle. 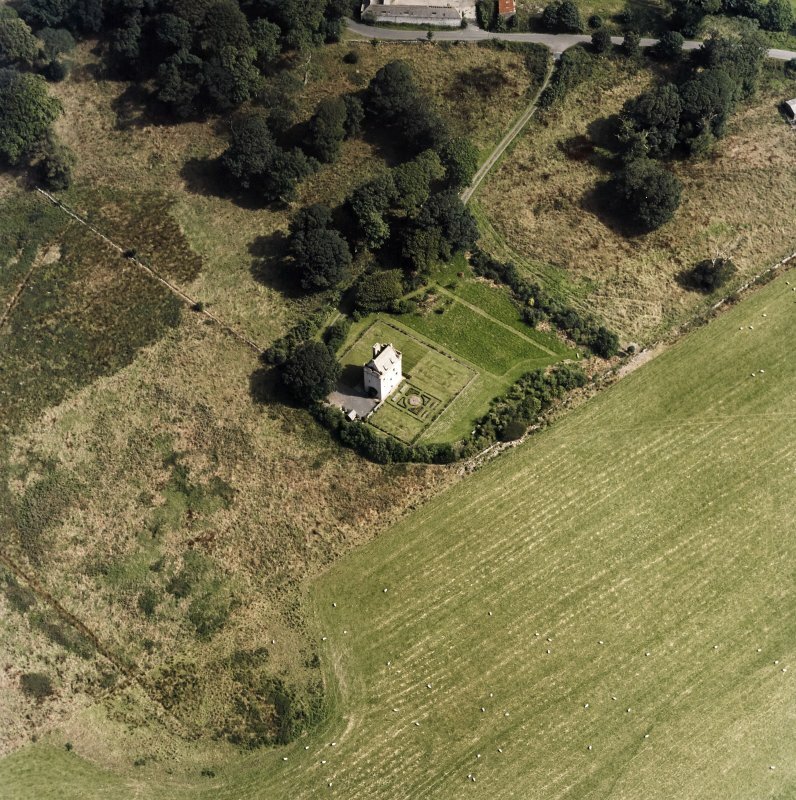 Each floor is subdivided into a principal room and a smaller chamber; the ground floor is vaulted and has a draw-well in the middle of the main room. 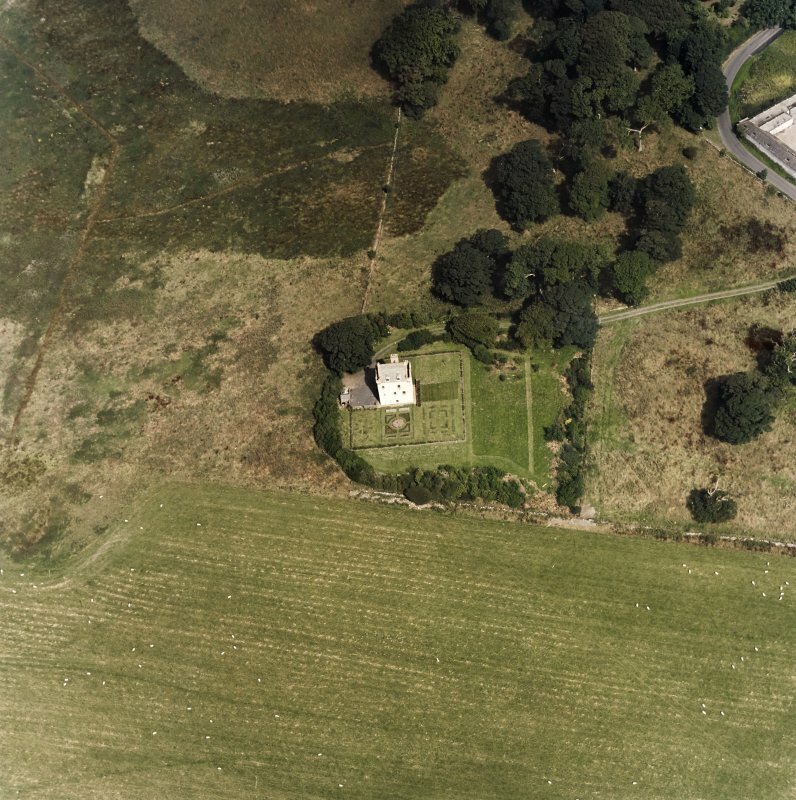 On the NW side of the tower an outshot has been removed, and there are now no visible traces of the enclosing ditch noted by previous authors. 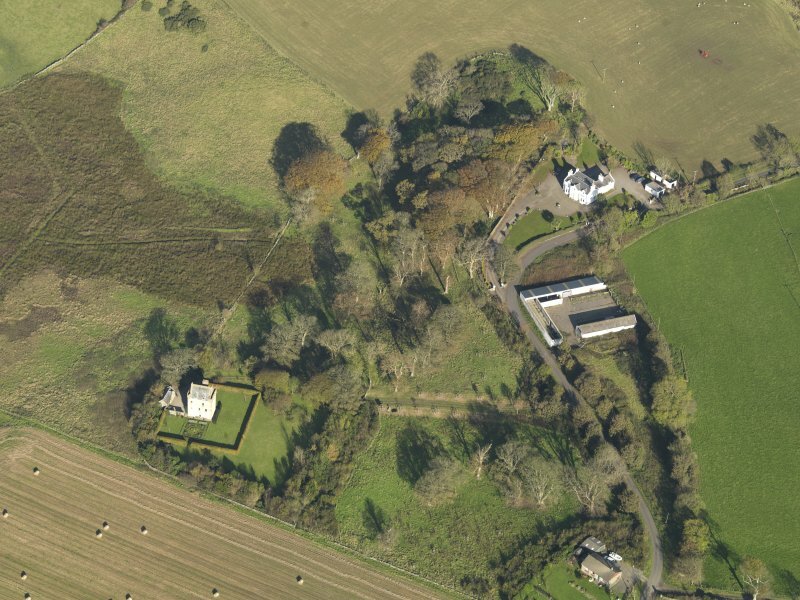 In the reign of Robert 1 (1306-29) the lands of Craigcaffie were granted to the Neilsons and remained with them until 1791 when the property was acquired by the Earl of Stair. Formerly scheduled under serial no. 2015. Information from Historic Scotland, certificate of exclusion dated 9 May 1995.